This is the fifth book in the 'Wee MacNessie' series. 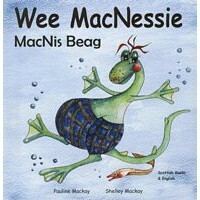 Auntie Morag arrives with belated birthday presents for Wee MacNessie. But are they the biggest and best surprise? 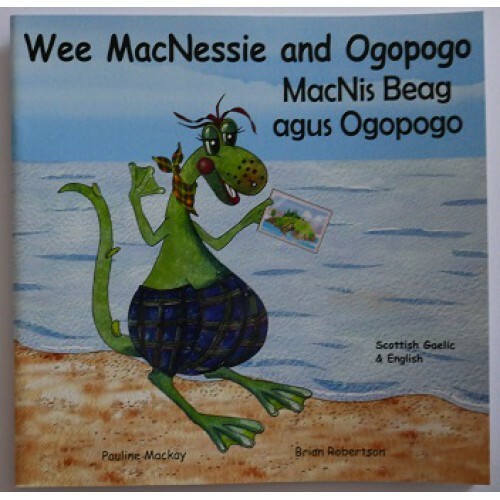 Another gentle, humorous story including Auntie Morag from Loch Morar and Ogopogo, Wee MacNessie's Canadian cousin. 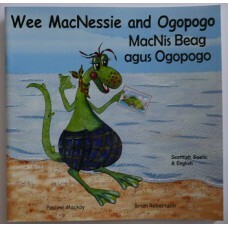 Ideal for home, pre-school and early primary use. Paperback: 24 pages; colour illustrations. This book is also available in English only and 3 bilingual editions: English with French, German and Spanish.